On the 4th (Tue), hike along Kuniya Walk, explore the activities along Mutitjulu Waterhole, then explore the striking landscape at Uluru, and finally hike along Uluru Hiking Path. On the next day, appreciate the views at Valley of the Winds, take in the awesome beauty at Kata Tjuta, and then get engrossed in the history at Uluru-Kata Tjuta Cultural Centre. For maps, ratings, reviews, and more tourist information, you can read our Uluru-Kata Tjuta National Park trip itinerary maker tool . Montreal, Canada to Uluru-Kata Tjuta National Park is an approximately 28-hour flight. You can also do a combination of train and flight; or do a combination of bus and flight. Due to the time zone difference, you'll lose 14 hours traveling from Montreal to Uluru-Kata Tjuta National Park. 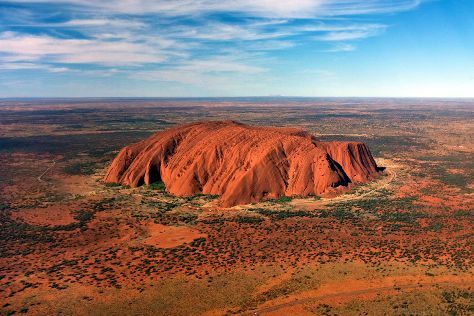 Traveling from Montreal in August, you can expect nighttime temperatures to be colder in Uluru-Kata Tjuta National Park, with lows of 6°C. Cap off your sightseeing on the 5th (Wed) early enough to travel to Alice Springs. Kick off your visit on the 6th (Thu): look for all kinds of wild species at Alice Springs Desert Park, then get the lay of the land with Walking tours, and then explore the striking landscape of Emily Gap. On the next day, get engrossed in the history at Alice Springs School of the Air Visitor Centre, steep yourself in history at Alice Springs Telegraph Station Historical Reserve, then look for all kinds of wild species at Alice Springs Reptile Centre, and finally take some stellar pictures from Anzac Hill. To see more things to do, reviews, ratings, and other tourist information, read Alice Springs trip website . Do a combination of flight and taxi from Uluru-Kata Tjuta National Park to Alice Springs in 2 hours. Alternatively, you can drive. In August, daily temperatures in Alice Springs can reach 27°C, while at night they dip to 5°C. Cap off your sightseeing on the 7th (Fri) early enough to travel to Margaret River. 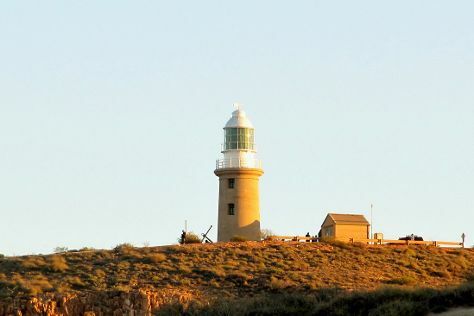 Kick off your visit on the 8th (Sat): see majestic marine mammals with a dolphin and whale watching tour, Head underground at Jewel Cave, and then visit a coastal fixture at Cape Leeuwin Lighthouse. On the 9th (Sun), you'll have a packed day of sightseeing: stroll through Surfers Point, explore the fascinating underground world of Mammoth Cave, then Head underground at Lake Cave, and finally explore the ancient world of Hamelin Bay Jetty. For traveler tips, ratings, reviews, and more tourist information, you can read our Margaret River travel route planner. Traveling by combination of flight and bus from Alice Springs to Margaret River takes 9.5 hours. Alternatively, you can drive; or do a combination of train and bus. The time zone difference when traveling from Alice Springs to Margaret River is minus 1 hour. Cap off your sightseeing on the 9th (Sun) early enough to travel to Exmouth. Exmouth is a town on the tip of the North West Cape in Western Australia. Start off your visit on the 10th (Mon): explore the gorgeous colors at Ningaloo Coast World Heritage Area and then kick back and relax at Turquoise Bay. On your second day here, visit a coastal fixture at Vlamingh Head Lighthouse, then have unforgettable encounters with a shark diving experience, and then explore the wealth of natural beauty at Shothole Canyon. To find reviews, traveler tips, where to stay, and other tourist information, refer to the Exmouth route planning app . Traveling by combination of bus and flight from Margaret River to Exmouth takes 10 hours. Alternatively, you can do a combination of bus, flight, and car; or drive. In August, plan for daily highs up to 31°C, and evening lows to 13°C. Wrap up your sightseeing on the 11th (Tue) early enough to travel to Broome. On the 12th (Wed), get engrossed in the history at Broome Historical Museum, explore the striking landscape at Gantheaume Point, then enjoy the sand and surf at Cable Beach, and finally pause for some serene contemplation at Catholic Diocese of Broome. On the next day, get interesting insight from Tours and then look for all kinds of wild species at Malcolm Douglas Crocodile Park and Animal Refuge. Before you visit Broome, use our trip planner to discover what you can do and see there. Traveling by combination of car and flight from Exmouth to Broome takes 12 hours. Alternatively, you can fly; or drive. Traveling from Exmouth in August, you will find days in Broome are somewhat warmer (36°C), and nights are about the same (17°C). Finish your sightseeing early on the 13th (Thu) so you can travel to Darwin. Discover out-of-the-way places like RFDS Darwin Tourist Facility and Defence of Darwin Experience. 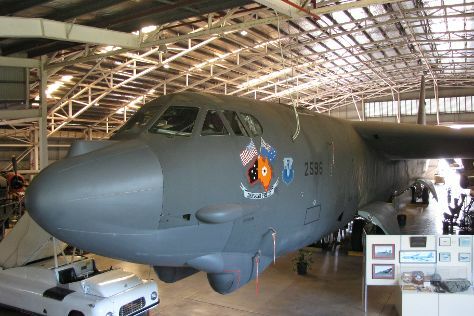 Appreciate the collections at Darwin Aviation Museum and Nomad Art Gallery. Spend the 15th (Sat) wandering through the wild on a nature and wildlife tour. There's still lots to do: get some thrills on the water with a speed boat tour, view the masterpieces at Mason Gallery, take in the dramatic natural features at Berry Springs Nature Park, and pause for some serene contemplation at St Mary Star of the Sea Catholic Cathedral. To see reviews, ratings, where to stay, and tourist information, you can read our Darwin online trip itinerary maker . You can fly from Broome to Darwin in 6 hours. Other options are to drive; or take a bus. You'll lose 1 hour traveling from Broome to Darwin due to the time zone difference. Traveling from Broome in August, plan for a bit warmer nights in Darwin, with lows around 22°C. Finish your sightseeing early on the 16th (Sun) so you can travel to Port Douglas. Start off your visit on the 17th (Mon): see some colorful creatures with a scuba or snorkeling tour. On the next day, take a memorable tour with Tours. For maps, ratings, and tourist information, read Port Douglas attractions website . Traveling by combination of flight and shuttle from Darwin to Port Douglas takes 5.5 hours. Alternatively, you can drive; or take a bus. While traveling from Darwin, expect little chillier days and about the same nights in Port Douglas, ranging from highs of 31°C to lows of 19°C. Cap off your sightseeing on the 18th (Tue) early enough to go by car to Cairns. We've included these beaches for you: Palm Cove Beach and Trinity Beach. Get outdoors at Scuba & Snorkeling and Nature & Wildlife Tours. You'll find plenty of places to visit near Cairns: Australian Butterfly Sanctuary (in Kuranda), Historic Village Herberton (in Herberton) and Wooroonooran National Park (in Topaz). For reviews, ratings, and other tourist information, read Cairns travel route builder website . Traveling by car from Port Douglas to Cairns takes 1.5 hours. Alternatively, you can take a bus; or take a shuttle. In August in Cairns, expect temperatures between 31°C during the day and 20°C at night. On the 23rd (Sun), you're off tohome.